While many Democrats will be jeering, mocking, and hissing President Trump during his State of the Union address Tuesday night, a handful of them will likely be shrinking into their seats and hoping that nobody notices them. According to a recent poll, a majority of voters support the President’s position on border security in 10 congressional districts that voted for President Trump in 2016 but elected a Democrat to the House of Representatives in 2018. In fact, respondents indicated that they approve of a border wall by an impressive margin of 53 percent to 43 percent, with an even larger majority of 61 percent saying they support the President’s stance in general terms. Voters in these Democrat-held swing districts support “building a border wall or barrier to improve security between the US and Mexico,” placing their elected representatives in the difficult position of choosing between listening to their constituents and obeying the obstructionist dictates of House Speaker Nancy Pelosi. That’s not just the opinion of voters, either. An overwhelming majority of the Border Patrol agents who police the border every single day say a wall is necessary to ensure national security, reduce crime, and cut the influx of drugs pouring in — just as the barrier separating Juarez, Mexico and El Paso, Texas has done with remarkable effectiveness. 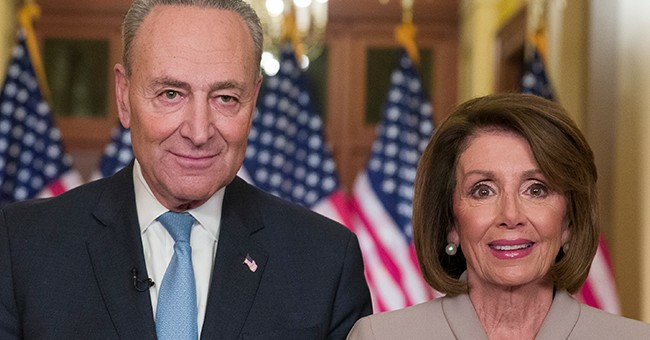 It’s worth noting that before President Trump made the border wall a central element of his contract with the American people, most Democrats actually supported the same solution, voting in favor of border barriers and border security without hesitation under previous presidents from both parties. Deep down, at least some swing-district Democrats still seem to agree with their constituents that border walls work. Indeed, Representative Collin Peterson, who represents one of the districts surveyed in the poll, recently expressed exasperation with the obstructionist tactics of his Party’s leadership. So far, Peterson’s fellow Democrats haven’t shown much inclination to follow his lead, preferring to advocate for extremist open-borders policies that are anathema to moderate voters. While their colleagues plot how best to use the State of the Union address to telegraph their anti-Trump credentials, moderate Democrats in vulnerable districts will have to find a way to balance the competing desires of their voters and their Party’s leaders.